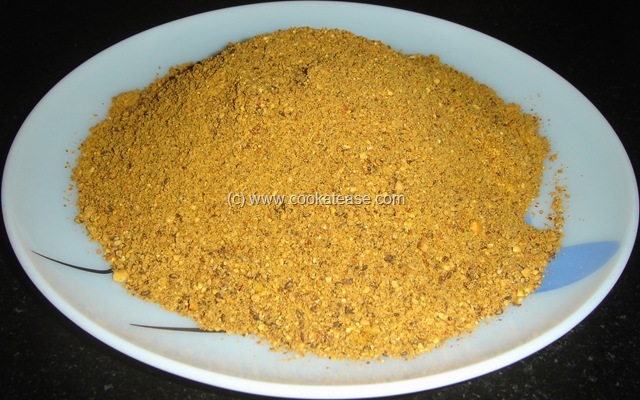 How to Prepare Idli Dosa Milagai Podi ? 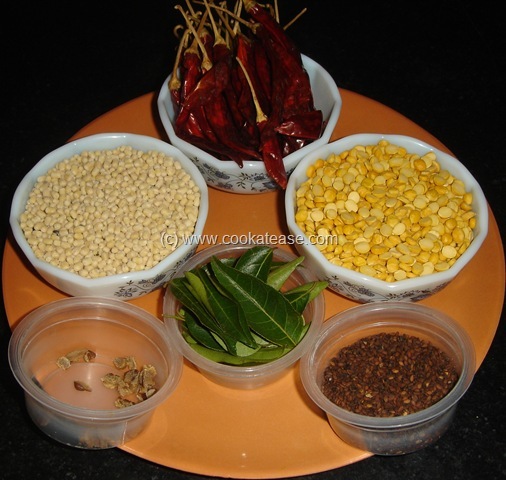 Idli Dosa Milagai Podi is a traditional side dish for Idli, Dosa, Uthappam. In my home, my family members ask for milagai podi, even if sambar and chutney are available for idli and dosa. 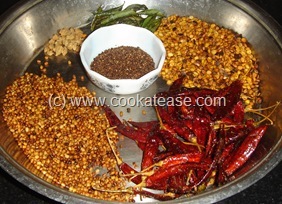 Red chilli, lentils and asafetida are fried and powdered to make milagai podi. The preparation varies from house to house slightly in using black or white sesame, curry leaves, garlic, jaggery, tamarind as ingredients. While packing idlis for journeys, this is very helpful. This milagai podi is mixed in water, sesame oil and then applied on the idlis to keep them fresh for more time. Most of the chutneys are unsuitable for long journeys. Here is my version of Idli Dosa Milagai Podi. Fry each item separately till golden in colour and crisp. 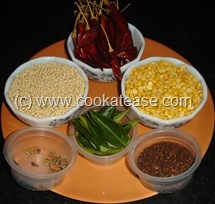 In a mixi first put asafetida, red chilli, salt and grind partially; then add lentils and grind as coarse powder; lastly add sesame, curry leaves and grind for few seconds. Aromatic Idli Dosa Milagai Podi is ready. 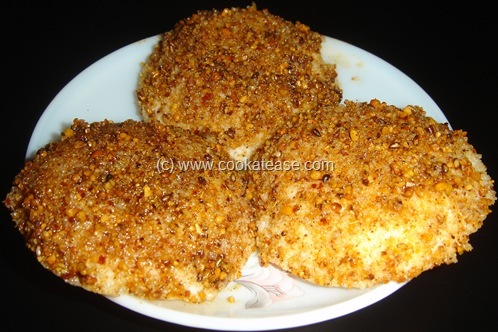 Here is how Idli is coated with Milagai Podi for journey. While frying red chilli, add some salt with it to avoid irritation in your throat. Keep it in an air-tight container to keep it fresh, up to three months. This post is part of “Cooking Basics Event” hosted by Mahimaa of Indian Vegetarian Kitchen. yummy idlis with podi.. thanks for your entry! I like your site. Slurppp, am drooling over the podi idlies!!!!tempting.. My favorite malaga podi ..thanks so much for the recipe..
Sinfully delicious Podi….. Every time I drop in, I bookmark couple of recipes…. 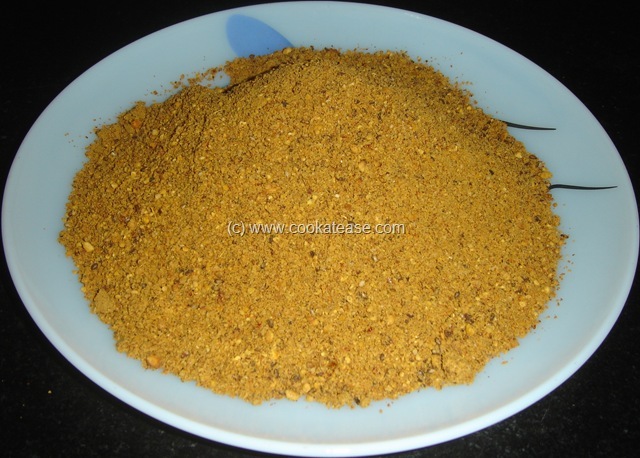 I have been meaning to make mologai podi for a couple of months now and was looking for a really different recipe from the one I usually make – this is it! thanks!